Similarly, a Bengaluru-bound Air India flight from Vizag and an Indigo flight from Delhi were diverted to Hyderabad. 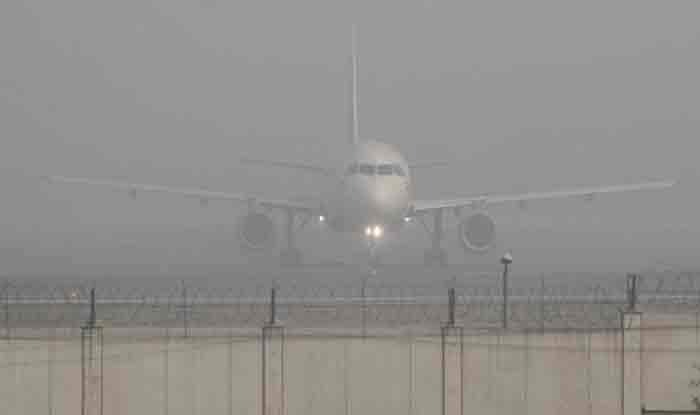 Bengaluru: The fog conditions caused the delay of 20 flights en-route to and from Bengaluru’s Kempegowda International airport between 6 AM and 9 AM on Monday, stated news agency ANI. Not just Kempegowda International Airport, flights at other airports across the country were also cancelled. All flights at Delhi’s Indira Gandhi International airport were delayed due to poor visibility, officials said on Monday. Earlier on Sunday, several flights were diverted. Owing to bad weather conditions, 38 flight departure and 11 flight arrival were delayed. Moreover, four flights — both domestic and international — were diverted to other airports. A Bengaluru-bound Air India flight from Ahmedabad and an AI flight from Dubai via Goa were diverted to Chennai International Airport. Two Bengaluru bound flights were diverted to Chennai due to dense fog, moreover, around 50 flights scheduled between 6 AM and 9 AM were also delayed. Similarly, a Bengaluru-bound Air India flight from Vizag and an Indigo flight from Delhi were diverted to Hyderabad. #9Wupdate: Due to adverse weather conditions (fog) at #Delhi, #Bengaluru and #Bhopal, some of our flights have been affected. “Very dense Fog at Delhi Airport. Visibility is zero. Runway 28 is 200 meters and runway 29 is 150 meters. Flights will be delayed,” tweeted Mahesh Palawat, the Vice president of Meteorology and Climate Change at Skymet Weather, on Monday. Private forecasting agency Skymet Weather predicted dense to very dense fog over the northern plains from Monday onward.